This translation, including a preface by Krohn, originally appeared in the Summer 2006 edition of the online political journal THE NOVEMBER 3RD CLUB. It is presented here with an embedded youtube of the entire film with Spanish subtitles. Note that the date of this dialogue is 1968, when street shots, whether like or unlike Lumiere's, were by historical necessity regaining their primacy [the May/June demonstrations and strikes] and "recreating the period" had many meanings. For Philippe Garrel, whose films Langlois played every year on Christmas day, filming the streets in '68 meant not filming the streets! A French television broadcast, under the rubric Aller au cinema, of films by Louis Lumiere intercut with comments by Jean Renoir and Henri Langois provides a rare opportunity to learn how these two masters of cinema regarded the birth of a new art form. The "Lumiere parts" of those films are well described by Renoir's and Langois' comments about fantasy and reality, and the recreation of the atmosphere of a period, even of the soul of a society. Jean Renoir : I don't feel that the cinematograph was just a way of putting the present in a box for the future. There is in these films a recreation of the atmosphere of the period that is exactly what we love today in Godard. When we look at the very first films, they're almost all extraordinary. You feel like using the word "genius." But these cameramen weren't geniuses — they were helped by the fact that technique was still difficult. I find more fantasy in certain Lumiere films than in paintings that aspire to fantasy. It's the creation of a world that exists in reality, but also of a world that exists in the imaginations of Theodore Rousseau or the Lumiere cameramen. The angle chosen by the cameraman — a humble servant of reality — is the work of his unconscious talent. Many great works of art are the result of the unconscious. I would even say that when a film we've made works, it's in spite of us. That kind of cutting was easy to do with pen and ink, but not with a camera. That's what I mean when I say that the fact that the technique was difficult worked to their advantage. Because the cameraman can't cut, he has to compose more carefully. Henri Langois : "As if by chance" a film begins with a tramway passing and ends when another one passes, close to the camera. In between you see the movement of people in the street. The cameraman saw that this set-up would give him a series of shots: You have a close-up, a long-shot and a medium shot and a movement linking them. That's not chance — it's science. There was a big difference between Lumiere and the others at this period. There's nothing more boring on film than the inauguration of a monument, kings, queens and so on. The great thing about Lumiere is that he didn't show History — he showed Life. The force of his films is in the atmosphere of life, the ambience of life, the philosophy of the period — everything is there. When you see two little girls playing in the street, on the Champs-Elysee, you think of Proust, of Renoir. Monet had painted the Gare St-Lazare before Lumiere filmed it. What you are seeing in Lumiere's film is the baton being passed from painting to film. The whole history of art from the mid-nineteenth century to the late nineteenth century leads up to Lumiere. Impressionist painting, everything that was greatest, newest in that period was absorbed by Lumiere's films. That's what gives them the quality of life. What Lumiere looked for was what is imponderable in life. [HL answering a question about improvisation and preparation in the Lumiere films:] The Lumiere cameramen when they got to a city would look for what would be best to film. They'd pick the spot, choose the angle. After that came improvisation. They didn't do it mathematically - they felt it in their hearts. Painting describes society as it sees itself, but with Lumiere's films, for the first time we see it as it is. When I look at these films I'm often appalled. What is out of fashion in them? The bourgeoisie. What is modern? The people. Because of the evolution of society, we are more like them than like the bourgeoisie of the period, we feel closer to them. When a painter paints women wearing the fashions of the era, he paints them as they are supposed to fit and look. When Lumiere films them, we see what they really looked like. What about New York City in the Lumiere films? It isn't the city we see in fiction films, or period recreations. It's a city of business. Whereas Paris in these films really is the Paris that Hollywood recreates when it wants to show this period. It really IS elegant. Look at a shot of Germany. The power of Germany shows through in it. You realize that the German empire was already there, whereas we were the flower of the nineteenth century. One observes a thousand little details like that. When I see a woman walk past in a Lumiere film I see all of her psychology, all of her history, all of her life, her perspective, her "horizons." It's different in the films that are acted. Jean Renoir: In the little acted scenes it's obvious that it's Lumiere's family and employees "pretending." But it's not really being acted. What matters is not the characters; what matters is that Monsieur Lumiere has gotten them all together and had them do this. Monsieur Lumiere is filming himself. M. Lumiere expresses through their acting a certain wonderful naivete that often enters into French art. Much "good" acting is no less false. Henri Langois: [answering a question about whether a Lumiere cameraman was really the first to move the camera:] He didn't want to "move the camera." He wanted his camera with him in a gondola to show what he saw. If the filmmakers of the 20s had seen these films, people like [Fritz] Lang, they could have saved themselves a lot of time. But no one at the period of the Lumiere films thought that Lumiere's cameramen had invented the moving shot or the pan, because that's not what they saw. They saw "a shot of a tram moving." We see the genius of cinema popping up all over the place, but the spectators of that time didn't have the background to see that. [The following is the one time the voice over is overlaid, during the shot entering and leaving the tunnel:] Now, after the whole development of the cinematic language discovered in the 20s, we are approaching an art of cinema that is much closer to Louis Lumiere, who is the absolute of the art of cinema. [HL is asked to sum up his impression of the films]: What strike me is the lumiere (light), the quality of the light, the sunlit quality of the images, which they were obliged, I believe, to film at certain times of day. And the depth of field. In other French films of the period, [Louis] Feuillade, for example, there's depth, but the shot is composed for a flat surface, like a painting. There's something more scientific in the films of Lumiere that comes, I believe, from the light. They have to be developed using the procedures of the period for that to be seen, as they first were in Venice when a scientist I knew worked out a system for doing that. Seeing them properly developed, you understand that film is a plastic art. [HL answering a question about diagonal compositions:] It's not a diagonal - it's a triangle. 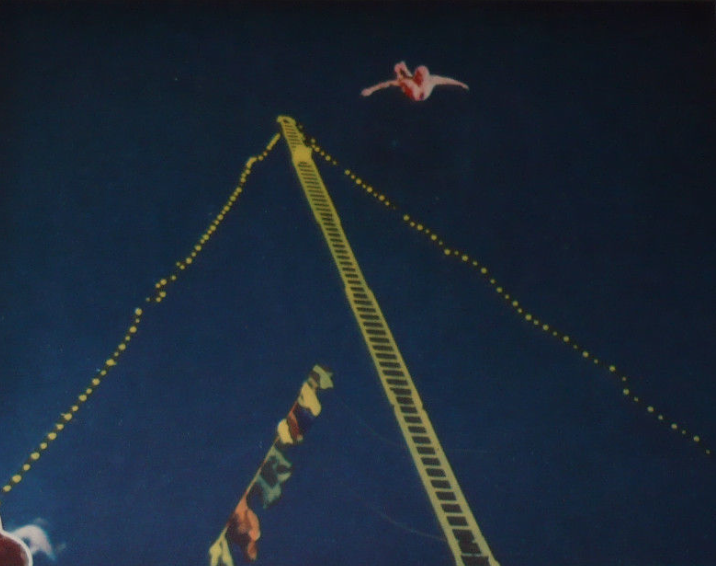 All of silent film uses that triangular composition, not just the Lumiere films. There's never anything in the center, until you get to the style built around the plan americain and the close-up. Jean Renoir: [Asked to sum up:] The precision and veracity that Henri Langois sees in these films shows, he says, that cinema is a resume of all the other arts. I see it differently. For me cinema is an art in itself, even though everything is linked. The world, as I never tire of saying, is one. 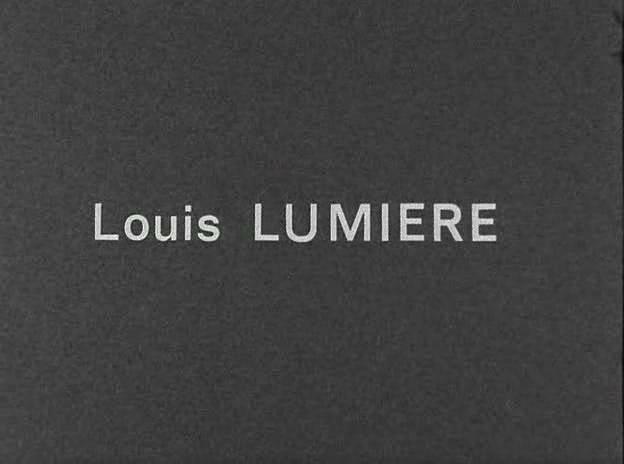 And the world of Louis Lumiere is one. For me the value of these films is that they are open to interpretation. Seeing one of them, I can make up the story I want, invent a before and after. You only have a work of art when the public is a collaborator. These films open a door to the imagination, permitting the spectator to invent part of what he sees. Which is also why the art of Getrmany in the 17th Century was music, since everyone in that society could be a musician. And why France is the art of painting, because of the atmosphere of painting that bathes it.